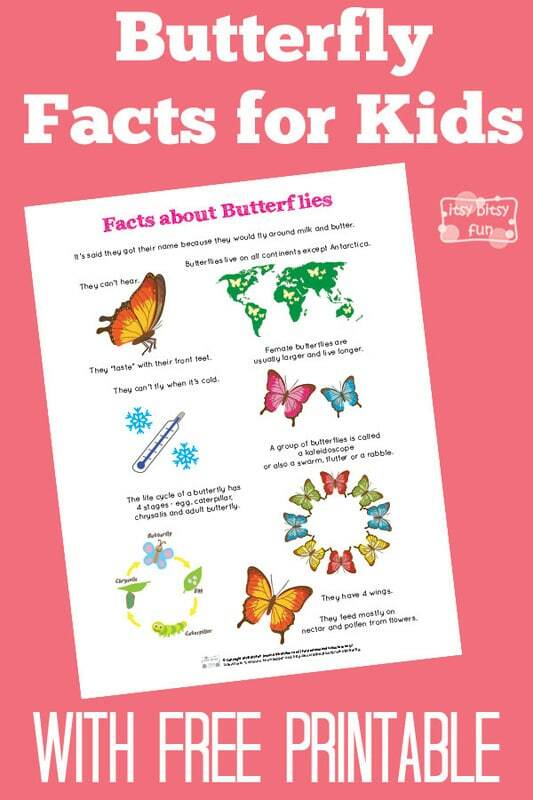 There are so many interesting facts about butterflies! 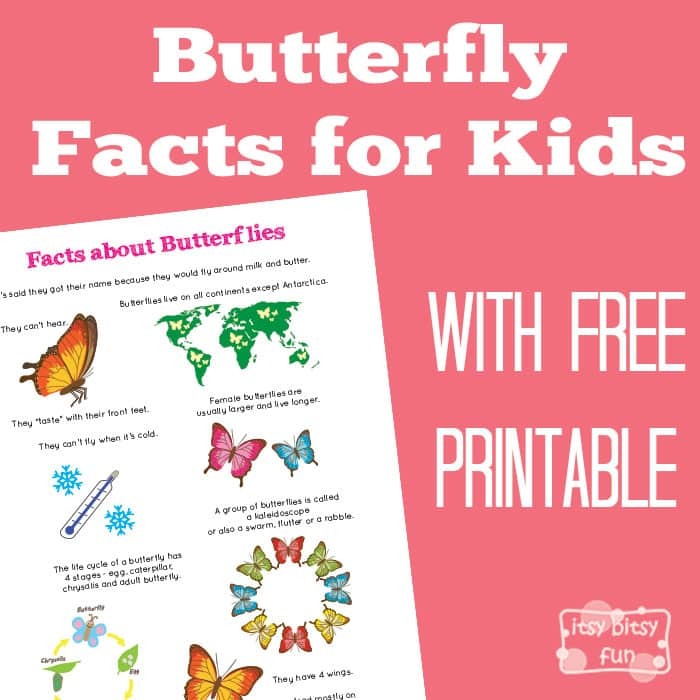 Let’s learn with facts about Butterfly for kids! I’ve also created life cycle of a butterfly worksheets which will make a nice addition to this printable. There are also quite a few other fun facts for kids printables available on my site (hint hint your kids can create their own fact book). This time we’re taking a closer look at one of the most colorful bugs on our planet (also my favorite bug, can’t say I’m a fan of many others haha). It’s said they got their name because they would fly around milk and butter. Butterflies live on all continents except Antarctica. They “taste” with their front feet. They can’t fly when it’s cold. The life cycle of a butterfly has 4 stages – egg, caterpillar, chrysalis and adult butterfly. Female butterflies are usually larger and live longer. A group of butterflies is called a kaleidoscope or also a swarm, flutter or a rabble. They feed mostly on nectar and pollen from flowers.